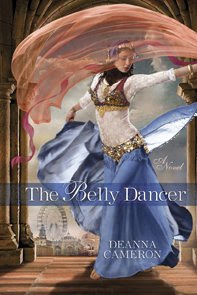 We are pleased to host a guest blog from debut author DeAnna Cameron whose first book, The Belly Dancer, is released today. Everyone loves a good mystery, and for me, as someone who has had a passion for the art and history of belly dance for nearly 20 years, there’s been no more compelling a mystery than the one surrounding the legendary Middle Eastern dancer known as Little Egypt, a figure consider by many to be the country’s first well-known belly dancer. Until I began to delve into the origins of belly dance in America as part of my research for my debut novel, THE BELLY DANCER, I simply accepted the common belief that Little Egypt was a dancer who got her start at the 1893 Chicago World’s Fair. I was fascinated to discover, however, that her story isn’t so simple at all. In fact, there continues to be a healthy debate over the identity of the original Little Egypt. Some theorize, as author and history professor Robert Muccigrosso does in “Celebrating the New World: Chicago’s Columbian Exposition of 1893,” that the true Little Egypt is the Syrian dancer named Fahreda Mahzar—often billed as Fatima—who did appear at the Street in Cairo exhibit on the fair’s Midway Plaisance. There seems to be greater evidence, however, to suggest that another Little Egypt is responsible for establishing that name’s place in history. That candidate is Ashea Wabe, a New York dancer who went by the stage name of Little Egypt and who became the focus of a notorious police investigation detailed in the New York Times and other newspapers across the country a few years after the fair closed. The investigation centered on a police raid of a dinner held by Herbert Seeley for a group of prominent men that became known as the “Awful Seeley Dinner” and which went on to make headlines largely because Wabe and other dancers were alleged to have been hired to perform indecent dances. The scandal became a source of intense reader interest and was talked about from coast to coast, making its players – especially the comely and enigmatic Little Egypt – well-known public figures. 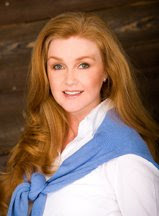 The Ashea Wabe theory is supported by extensive research conducted by dancer and historian Donna Carlton and presented in her book, “Looking for Little Egypt.” It’s also consistent with statements made by Sol Bloom, the man primarily responsible for the Midway Plaisance, in his 1948 autobiography. And yet, despite these two strong candidates, there remains the possibility that the original Little Egypt is someone else altogether, that her real name has been so obscured by the haphazard record keeping habits of the World’s Fair exhibitors and in the flood of imitators who rushed to capitalize on her notoriety that we may never know her true identity. As you can imagine, the storyteller in me embraces this possibility because it’s the kind of mystery that can set your imagination on fire. It leads to so many tantalizing questions: Who else could she have been? What led her to Chicago? How did she learn to belly dance? Each question led to more questions, and I found myself following them like stepping stones as I wrote THE BELLY DANCER. My answers – my vision of what could have been – ultimately became the basis for my novel. And while my characterization of Little Egypt is entirely fictional, I was happy to pay homage to this wonderful icon by giving her something the mystery surrounding her identity had not – a life story at last. Thank you, Blodeuedd and Daphne. I enjoyed writing this story so much, I'm thrilled that I finally get to share it! And I couldn't agree with you more, Daphne -- the artists at Berkley are amazing. Those talented individuals also produced souvenir bookmarks with the cover art and I'd be happy to send one to you or anyone who's interested[within the continental U.S.]. Requests may be e-mailed to me at deanna AT deannacameron DOT com. Wonderful post! Thanks so much. Your book sounds great. Thank you so much for a great post! The books sounds very interesting.